When professionals and amateurs alike shop for a new guitar, their first choice is often a Martin. Martin guitars have been used by the likes of Elvis Presley, Johnny Cash, Thomas Rhett, Weezer and many more. Yet, their instruments are also accessible to those who are just learning how to play the guitar, making them one of the most popular manufacturers across the planet. The rich history of C.F. 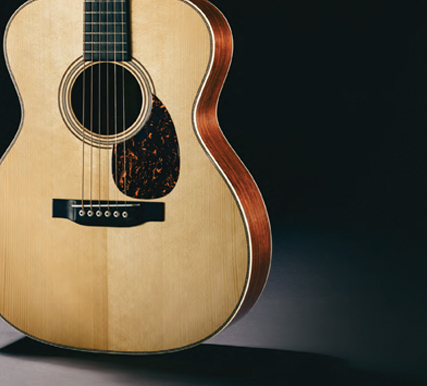 Martin & Co. has led to some of their guitars being worth upwards of a $1 million. Yet, Martin was not always the company it is now. They struggled to find their place in the American culture when they first started. Their rise to become a staple in American music has been nothing short of amazing. The quality of their instruments has never suffered, not even during periods like the Great Depression (though the number of guitars produced may have decreased). And because the company has always been owned by the same family, they have been able to sell instruments branded with the “Martin” name proudly for over 180 years. Christian Frederick Martin, Sr. was born in the small village of Markneukirchen, Germany, in 1796. He grew up working with wood, as his family were cabinet makers. After learning the art of cabinetry and woodworking in general, Martin moved to Vienna, Austria, to apprentice under guitart maker Johann Georg Stauffer. It was there he learned the intricate craftsmanship of designing and building musical instruments. He later moved back to his hometown to open his own guitar shop. 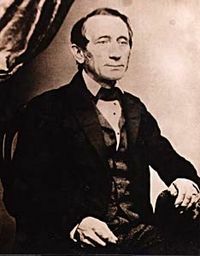 In 1832, Martin’s father passed away, freeing him of any familial obligations to remain in the country. As it turned out, this was a blessing in disguise. By 1833, Martin had become a member of the Cabinet Makers Guild. After a dispute with the Violin Makers Guild about who should be allowed to make guitars, Martin decided to move to New York City. There, he opened a guitar shop at 196 Hudson Street, on the Lower West Side. He had a retail space in the front, with a workshop in the back. This was the forerunner of what would become C.F. Martin & Co.
Martin would only stay in New York for about 5 years. In 1838, at his wife’s insistence, he moved his shop to Nazareth, Pennsylvania. Today, you can still visit C.F. Martin & Co. at that same location in eastern Pennsylvania. C.F. Martin is credited with inventing the X-bracing system on guitars during the 1850s, moving away from the traditional German system of lateral bracing. This design, adapted from Spanish guitars, was soon copied by guitar makers across the nation. 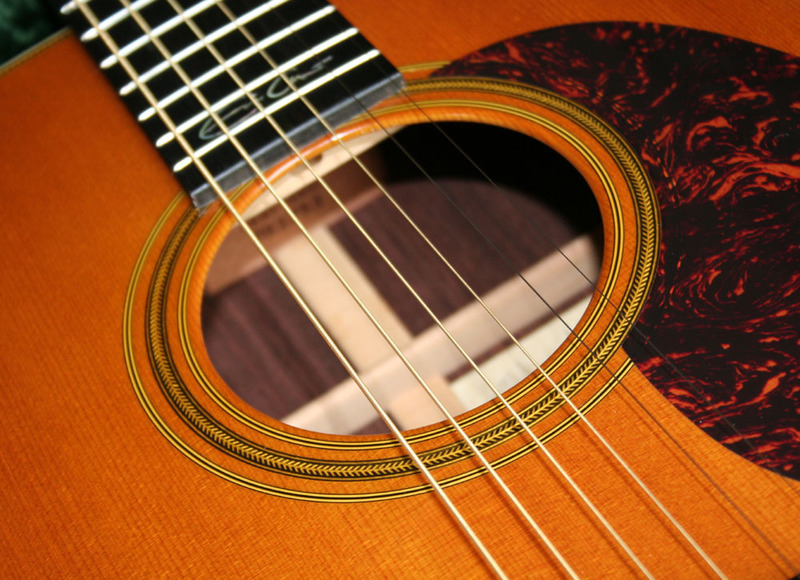 European makers stuck to fan bracing, but that design became outdated once steel strings became more popular than gut strings in the early 1900s. As the company grew through the early 20th century, they branched into more kinds of stringed instruments. They had perfected the art of crafting mandolins by the turn of the century, and by the 1920s they were also making ukuleles. Just before the Great Depression hit, C.F. Martin & Co. was making more than 5,000 instruments annually. In fact, it was the expansion into ukuleles that kept the company profitable through the Roaring Twenties. When the Great Depression hit in 1929, the company’s sales suffered drastically. Rather than folding, however, Martin decided to innovate. They created the 14-fret neck, which assisted musicians in reaching higher notes. This was to attract more banjo players to the guitar. They also changed the shape of those guitars to make them easier to play and to improve sound quality. Perhaps more importantly, it was during this time that Martin created the first dreadnought guitar. These guitars were bigger and had a deeper sound quality than previous designs. Because of its larger size, dreadnoughts were not well-received when they were first manufactured. However, with a few tweaks — including redesigning the instrument with an X-brace system — the dreadnought became the most popular model of Martin guitar. In fact, that design was adopted by nearly every major manufacturer, and it is now considered the standard acoustic guitar shape. By the 1960s, artists like The Beatles and Elvis Presley had brought rock ‘n’ roll to the forefront of American culture. Other manufacturers like Gretsch were gaining in popularity due to their wild electric guitars. Martin decided to get into the game as well, manufacturing hollow-body electric guitars. These were not well-received, however, and the company decided instead to focus on what it made best: hand-crafted, high-quality acoustic guitars. In fact, Martin’s acoustic guitars were so popular in the 1960s that there was a three-year waiting list to get one. In order to meet this new demand, Martin opened a new production facility in 1964, which is where the majority of their guitars are still made today. However, as Martin guitars still continue to grow in popularity, even 180 years later, the company has expanded its factory to make sure demand is always met. In 1979, Martin opened its Custom Shop division, allowing musicians to design their own guitar for the company to make for them as just one more way to serve their customers. In addition, Martin only uses wood that is certified as environmentally friendly, becoming one of the first guitar manufacturers to produce a model that uses only wood certified by the Forest Stewardship Council. This dedication to quality has been the hallmark of Martin guitars, and as the company continues to be passed down through family, C.F. Martin’s descendants have ensured that a less-than-optimal instrument never stocks the shelves of local music stores. “The Star-Spangled Banner” was officially adopted as the National Anthem. Porsche was founded in Stuttgart, Germany. Construction on the Empire State Building was completed. Star Trek stars William Shatner and Leonard Nimoy were born, just four days apart. Thomas Edison submitted his last patent application before his death later that year. Charlie Chaplin’s City Lights, considered one of the greatest films ever made, was released. Pitcher Jackie Mitchell, the first female in professional baseball, took the mound, striking out Babe Ruth and Lou Gehrig.